Running has been many things to Jenny Baker - a space to achieve new things, a way to keep fit and healthy, and a source of friendship and community. She had planned a year of running to celebrate her birthday; instead Jenny was hit with a bombshell which rocked her life when she was diagnosed with breast cancer. She had one question for her oncologist: can I keep running? It gave her a sense of identity through her chemotherapy, while her treatment was stripping away everything that was important to her. Run For Your Life is the story of how she kept running to help her beat cancer, and how it helped her get her life back on track after an intensive spell of treatment and a turbulent time in her life. 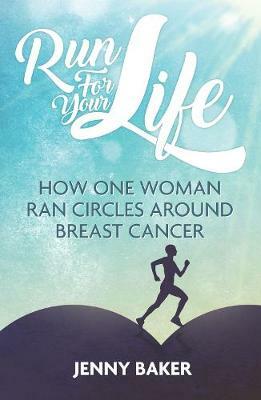 A book by a woman who ran circles around breast cancer.